Another half marathon for Blackwell. 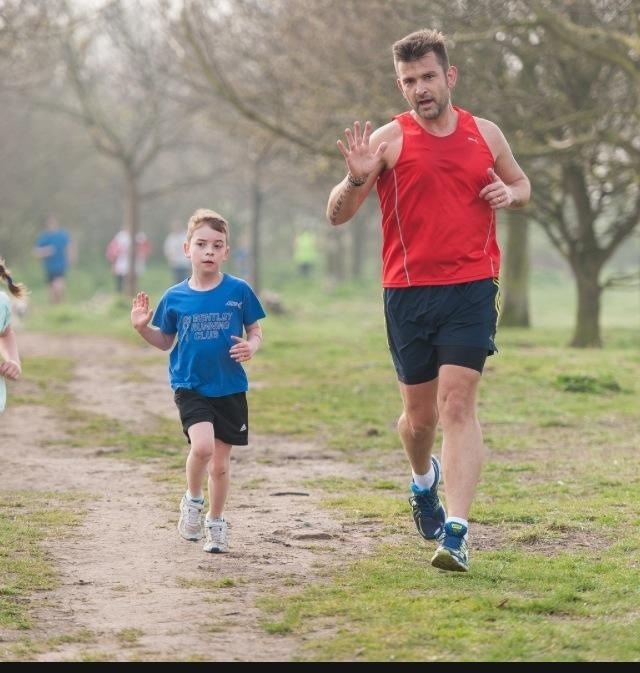 Father and son Shawn and Harrison Leek tried out the Maldon Prom Parkrun on Saturday 29th March. 8 year old Harrison, who is improving week on week, gained yet another PB over this distance, clocking 26:34. Paul Blackwell ran the hilly Croydon half marathon, finishing in 2:02:00. Rodger Alexander ran the 30 mile New Forest Ultra on Saturday 22nd March, finishing 45th out of 90 runners, in 5:34:20. The course consisted of 3 10 mile cross country laps.